Once again the world will see the excellent performance of Manny "Pacman" Pacquiao in his defense for holding the World Boxing Organization welterweight crown against American "Sugar" Shane Mosley at the MGM Grand Arena in Las Vegas Nevada. 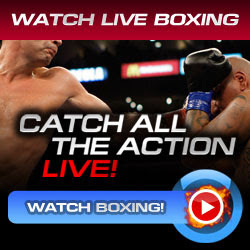 All 17,000 tickets were sold out and when the opening bell rang, millions of boxing fans around the world are expected to watch the clash of Manny Pacquiao VS. Shane Mosley. Almost of the boxing fans are hoping a knockout victory for the reigning pound-for-pound king which the two last fights scored in a decision and the last stoppage fight is against Miguel Cotto in November of 2009. Pacquiao is the bet of everybody which gave him a 6-1 favorite for their Mosley clash. Shane Mosley is the first African-American opponent of Manny Pacquiao, has to prove something in his critics that he can still win and be a world champion again for the age of 39 years old. If he can do it, Shane will be the oldest boxer to win a world title. "Sugar" Shane Mosley is former world champion and pound-for-pound fighter back in the year 2002. He fought big names in boxing like Oscar De La Hoya. Mosley is a three-division world champion after reign in lightweight, welterweight and super welterweight. Manny "Pacman" Pacquiao is a currently the WBO welterweight champion and the pound-for-pound king today. He is a eight-division world champion after won many titles at flyweight, super bantamweight, featherweight, super featherweight, lightweight, junior welterweight, welterweight and super welterweight classes. He beat big names in boxing like Oscar De La Hoya, Ricky Hatton, Juan Manuel Marquez, Joshua Clottey, Miguel Cotto, and Antonio Margarito. If the African-American challenger will win the fight against the Filipino boxing superstar, their will be a set of rematch after six months which in the contract stated. Top Rank Promoter Bob Arum said that Pacquiao's next fight is on November 12 and still on Las Vegas. Both fighters are now ready to the battle. Boxing fans can't wait to see the Pacquiao vs Mosley fight. Undercard fight starts 9pm ET / 6pm PT.